Hospice of the Chesapeake provides physical, psycho-social and spiritual support services to individuals living with and affected by advanced illness. These services are provided wherever the patient calls home. Hospice of the Chesapeake is committed to providing the best possible care for all regardless of their inability to pay. Hospice of the Chesapeake understands that a life-limiting illness in a family member impacts every member of the family — body, mind and spirit. Our team of Social Workers and Chaplains work as an important part of the interdisciplinary team of professionals who assist patients and families during their journey. Hospice relies on volunteers. In fact, volunteers are the backbone of the hospice team. Volunteers help set the tone for the compassionate care our patients and families receive. The support volunteers provide greatly enhances the quality of patient’s lives. To our patients and their families, our volunteers make a significant difference in their end-of-life journey. Hospice of the Chesapeake Foundation is a nonprofit organization that raises funds and awareness in support of Hospice of the Chesapeake’s mission of caring for life throughout the journey with illness and loss. 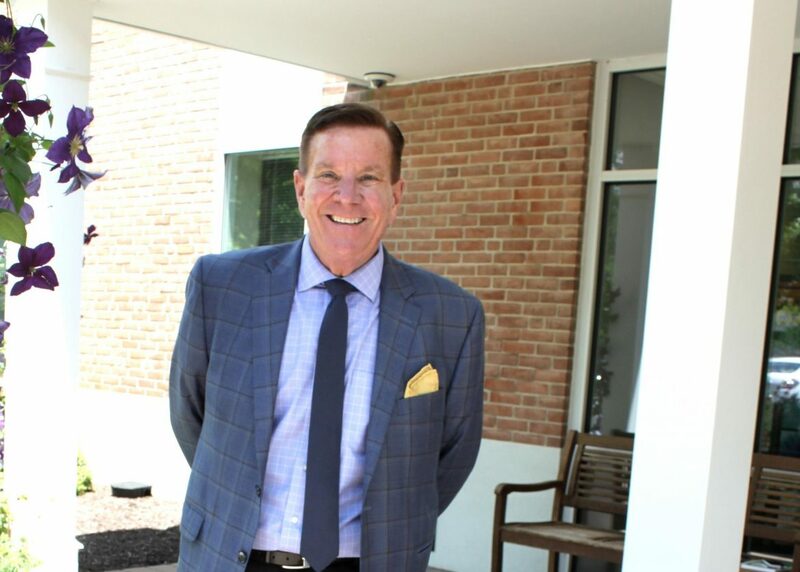 National Volunteer Week 2018 Volunteer Spotlight: Tom Howell, Sr.
Coping with an advanced illness can be overwhelming—most people don’t know where to turn for help. Fortunately there are people working in our community who do. Like so many who have served on our boards or committees, Tom Howell, Sr., was reeled in by then CEO Erwin Abrams after meeting him at a fundraiser. “Next thing I know, I’m selling hot dogs for Hospice at the boat show!” Howell said. Since that fateful day in 1987, the Founder of TechUSA has graduated from hot dog handler to serving on just about every committee we could come up with – including the Foundation Board, the Inc. Board, the Caring for Life Campaign Executive Committee and a sundry of event committees, most notably the Golf Committee. Howell represented us for about a quarter century before having any first-hand experience with our care teams. A few years back, he helped a dear friend through end-of-life with us. Last year, he was in the same situation when his sister passed. Those experiences gave him even more of a sense of purpose to all of his work. He said it is his belief and understanding of the importance of our work to not only the patient, but to the caregiver, family and friends, that drives his commitment to our cause. Joint Commission-accredited health care organization by either calling 1(800) 994-6610 or emailing complaint@jcaho.org. Copyright ©2019 Hospice of the Chesapeake. All Rights Reserved. Powered by Liquified Creative.